It’s Sunday evening at the Byg Brewski Brewing Company on Hennur Road in north-east Bengaluru. Till recently a long stretch of road meandering through farmlands and acting as an alternate route to the airport, it has seen hectic construction over the past five years. As you head towards Byg Brewski, you see signs of this everywhere: half-finished buildings, new fast food and takeaway joints, and even, surprisingly, a Fabindia showroom. Entering the microbrewery for the first time, even seasoned travellers and pubbers are likely to be a bit gobsmacked: It is a massive, largely open-air space with a fort-like feel, the effect enhanced by burning torches fixed from sconces along the walls and a large water body at the centre of the courtyard. At 65,000 sq. ft, it is among the largest brewpubs in Asia. The open kitchen is spread over 5,000 sq. ft, with over 70 kitchen staff. It employs 90 servers in shifts, along with around 40 bar attendants. Four bars located at various corners of the property serve seven varieties of craft beer on tap, brewed in-house and piped to the bars via 3-4km of piping. The microbrewery churns out around 20,000 litres of beer every month. It also has a thriving cocktail scene run by award-winning mixologist Rohan Matmary, whose pride and joy is the ice vault at Byg Brewski—it churns out, on average, 600 kg of ice every day. The property is almost completely zero-plastic, with biodegradable takeaway and home-delivery containers, no plastic garbage bags, and soda fountains and glass bottles instead of plastic bottles. I am shown around the property by Pravesh Pandey, partner-owner at the Byg Brewski Brewing Company, which runs this mega pub along with a slightly smaller one on Sarjapur Road, as well as a chain of homey, old-fashioned bars called Bob’s Bar. Things fall into place when Pandey says he has a cruise ship background, having worked with P&O Cruises. Byg Brewski is built on a similar scale, and it is built to impress. “Our whole business model is based on the extra-large concept. If you look around us, everything is getting smaller: homes, restaurants, offices. For most people, big is 10,000 sq. ft. We want people coming in here to feel transported, to feel like they are at a resort, to go away with memories,” says Pandey. He affirms that brewpubs (pubs with microbreweries on their premises which make craft beer in-house) are mushrooming in Bengaluru and everyone seems to want in on the business. Apart from the fact that there is a ready customer base that has been primed on craft beer, making your own beer is cheaper, in the long term, than buying spirits. While you do spend a fair amount on the setup, equipment and licences, manufacturing your own alcohol at scale is profitable, says Pandey. Brewers are betting that the demand for craft beer is only going to grow, as it has in hipsterish American states like Oregon and California. “Per capita consumption of beer in India is about 5 litres per year. In Asian countries, this is about 20 litres, and is even higher in markets like the US,” says Pandey. While most of the beer consumption in India is still of the bottled variety, especially “strong beer” in rural and semi-urban areas, once people get a taste of good craft beer, it is difficult to go back to drinking “horse piss”, as one microbrewery owner puts it. Thejaswi Udupa, quizzer, columnist and director of product at a real-estate listing site (also a bit of a beer nerd), welcomes the “obvious explosion” of microbreweries—from a dozen a couple of years ago to around 55 today (with a confirmed six-eight in various stages of development). In his view, the proliferation in numbers has not impacted quality. “On the contrary, it has improved and the variety is more diverse,” he says. “A personal heuristic I use is how many of them are brave enough to put one or two proper IPAs (India Pale Ales) on the menu. For a long time, only a couple made competent IPAs, but in the last year, some of the newer ones have been ‘hopping’ their beers up,” he says, referring to the amount of hops added to the brew, which gives it a more full-bodied and flavourful, albeit stronger and more bitter, taste. The availability of beers with higher IBUs—international bittering units, the measure of the concentration of hop compounds in beer—is used worldwide as a sign of a market with maturing tastes. In the past few months, Udupa, who calls the lighter Hefeweizen (wheat beer) “the paneer of the beer world”, has been impressed by the DIPAs (Double IPAs) he tried at two new brewpubs, Biergarten and The Bier Library, both of which have opened within the last six months. A couple of months ago, a list started doing the rounds of Bengaluru WhatsApp and Facebook groups that obsessively discuss food, drinks and the F&B industry in India. It was a list of 52 microbreweries/brewpubs currently operational in Bengaluru. The figure came as a surprise to many, even those who go out often and are usually well-informed about new pubs and restaurants, the go-to places, what’s shutting down and what’s coming up in a city where the contours of commerce are as dynamic as the weather. Even though most of them had noticed the proliferation of brewpubs, with new clusters coming up practically in every neighbourhood, they didn’t have the exact number, nor did they anticipate it to be quite this high. That number is around 55 now (independently verified by Lounge). Another 70 or so are “tap-rooms” that serve beer on tap from craft beer made locally (but not on the premises). Even as I was researching this article, a new brewpub, Aurum Brew Works, opened up in my neighbourhood of Sarjapur Road, a tech hub with special economic zones, corporate campuses (including Wipro’s headquarters) and vast residential complexes. Many of the new brewpubs seek locations in the peripheral areas of the city where large tracts of land are available for establishments that by rule have to be large (it is a government-mandated rule that microbreweries have to be located within premises spanning a minimum of 10,000 sq. ft). 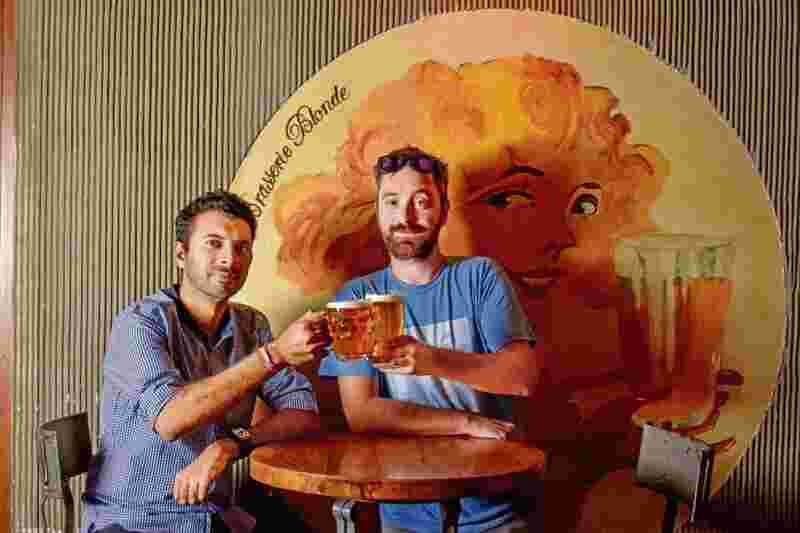 So many pubs and microbreweries have opened in the past couple of years within a 5 km radius of Sarjapur Road that the area’s new name is “Brewpur”, says Gaurav Sikka, partner and managing director at Arbor Brewing Company, with a laugh. We are sitting in Arbor’s spacious balcony area. It is late afternoon on a Wednesday, and the place is already starting to fill up. Sikka is drinking a glass of Beteljuice Pale Ale, a new beer created in-house as a collaboration between the pub’s brew team headed by master brewer Hollis Coates and home brewer Karthik Singh. “We first brewed this in March 2016 and we’ve brewed this every year since,” Sikka says. The beer begins with an aroma of citrus and lemongrass, and then you get hit by that lingering, unmistakably Indian paan taste that comes from the addition of fresh betel leaves to the beer when it’s almost ready. It is unlike any beer you have had before—but once you taste it, you may suddenly realize that your understanding of what beer is has been pretty limited. What makes craft beer in Bengaluru unique and the scene distinctive from other craft beer centres in the country—primarily Pune and Gurugram—is not just the number of brewpubs. In sheer numbers, Gurugram isn’t too far behind, with approximately 45. But quality, innovation and a passion for craft brewing, along with a set of risk-taking, career-jumping individuals who take the craft seriously, set the Bengaluru scene apart. That a pub scene is flourishing in Bengaluru at all is remarkable. The city’s F&B industry’s tussles with the excise department are legendary, and include the difficulty in procuring licences (especially the CL-9 bar and restaurant licence that the government stopped issuing in 1992; it needs to be bought off a previous holder), jumping through hoops to comply with ever-changing and arbitrarily enforced rules, and corruption and bribery at a Narcos level. But Bengaluru’s enthusiasm for pubbing as a well-established cultural and social activity pushes things along. Everyone meets over a beer—it is the new coffee. Work meetings are held over beer. Older millennials organize and participate in beer tastings and beer-and-food pairings. Co-working spaces like WeWork offer beer on tap. And most craft-beer lovers drink it not to get drunk, but for the taste and a mild high, as well as the social aspect of hanging out over a beer. The “going out for a drink” scene in the city is now active not just on weekends, but stretches from Wednesday-Sunday, with only 40% fewer customers in the early days of the week. Drinking patterns are also different from other metros—here, people take a longer time over their drinks. On a weekday, average peak business hours tend to be 7-8 hours, says Sibi Venkataraju, partner and founder at Toit, whereas in other cities it’s 3-4 hours. “In the other cities, beer is not the preferred beverage. People want to get drunk faster and head home. 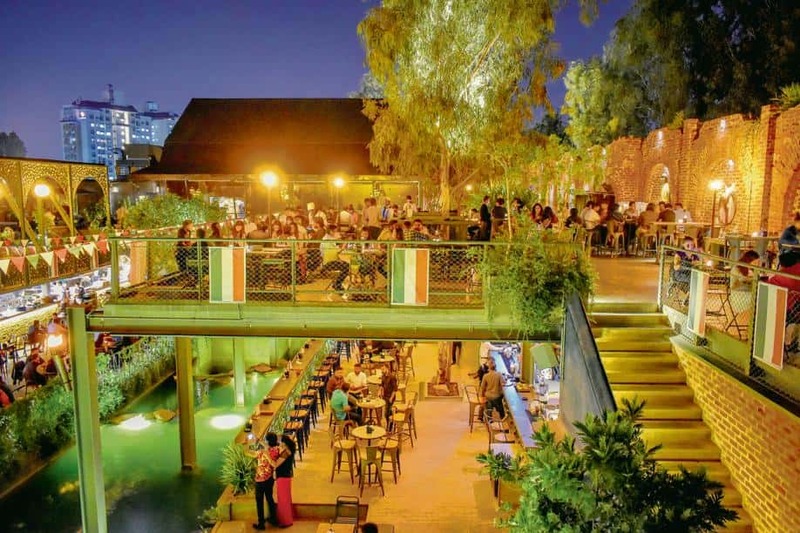 The scene in Bengaluru is more casual and laid-back, with people spending more time over their drinks, which is ideal for beer consumption,” says Venkataraju. In 2010, the Karnataka excise department started to issue microbrewery licences after intense lobbying by players such as Arvind and Meenakshi Raju, founders of Bengaluru’s first brewpub, Biere Club, Venkataraju and Sikka. Along with Windmills Craftworks in Whitefield, which opened in 2012, they were the first batch of craft-beer makers in the city—and they started something special. Their brews were world class and created an instant love for craft beer, says John John Eapen, aka “JJ the Keg”, a beer evangelist who has been helping newer brewpubs in the city set up their equipment and develop their beers. Eapen, an aeronautical engineering dropout who has done a little bit of everything in his professional life—from training as a pilot in Canada and being a BPO trainer to sales and marketing—runs a popular blog called Tales of Froth, where he assiduously tracks the beer, especially craft beer, business in India, and a Facebook group, Friends of Froth. Business is good, says Eapen, and he is getting more offers to consult with upcoming breweries than he can handle. His calculations suggest that a brewery selling 15,000-20,000 litres of craft beer in a month can earn revenue of 1.25 crore- ₹2.5 crore per month. Most brewpub owners assume average consumption to be 1 litre per person per sitting in Karnataka, and 0.85 litres per person elsewhere. 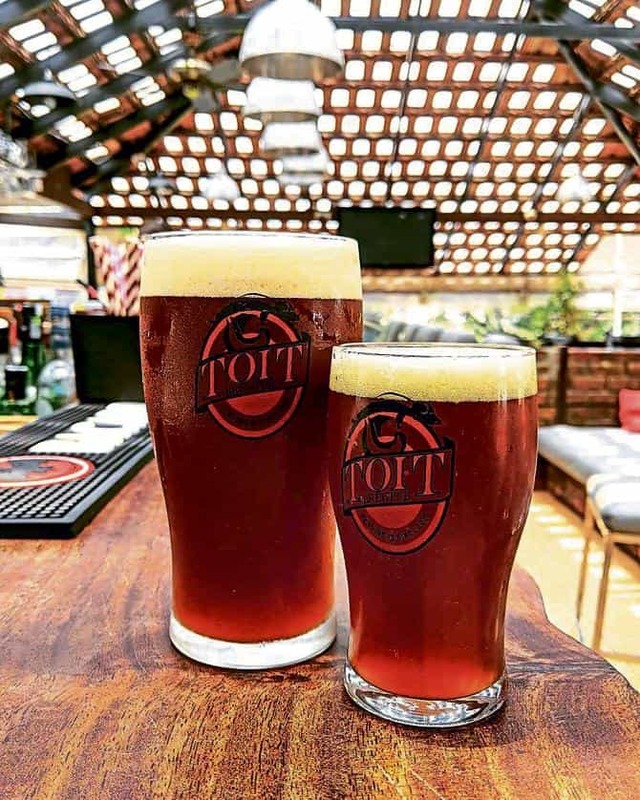 Interestingly, well-established brewpubs like Toit and Arbor have chosen not to open new outlets in the city, instead moving to bottling and canning, along with expansion to other cities. While Toit already has Mumbai and Pune outposts, Windmills is coming up with one soon in Mumbai. All three companies are exploring the packaged craft-beer market, with Arbor being the first off the blocks with its Goa plant (started in August), which is already churning out three varieties sold exclusively in the state. The Karnataka factory will be up within the next couple of months, says Sikka, while Toit’s Venkataraju says the brand’s plant in Bengaluru will be up and running in the “next 12-18 months”. Windmills Craftworks is also setting up a plant in Goa. But first, a visit to Karnataka’s first production craft brewery, which is setting the trend of supplying locally brewed craft beer to pubs and restaurants. Vidya Kubher runs up the steep metal steps nimbly to check on the current batch brewing in the Geist beer factory in its initial stages of preparation—the “hot” stage. The petite Kubher looks dwarfed by the massive metal vats that surround her, but she is in her element as she opens the vats, takes a sniff here, adjusts a dial there, and oversees the staff working at this factory redolent of the unique, warm, sweet, moist smell of malting barley. “I like working in a factory kind of environment,” says Kubher, who is among a handful of female brewmasters in the country. She studied brewing techniques in Chicago and Munich after a career in mutual fund asset management. 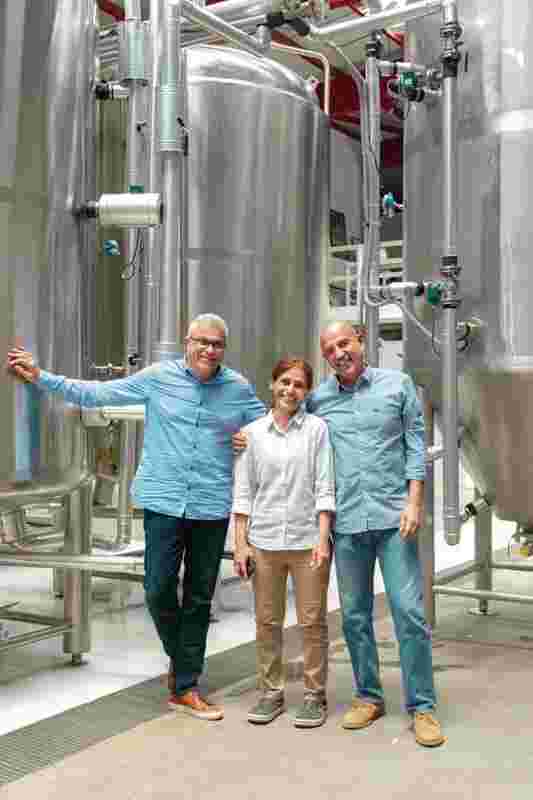 She was drinking Geist beer before she joined the company as its chief brewer, she says—at a time when Geist was still manufacturing its beer in Belgium and selling it in India. Around 2010, mounting loses forced it to temporarily halt operations. Co-founder and CEO Narayan Manepally, whose obsession with craft beer started when he was working with Intel in Portland, Oregon (the undisputed mecca of craft beer in the world), started sketching out a plan for a beer factory that would keg freshly brewed varieties of craft beer. “When Brewsky in JP Nagar and the first Byg Brewski came up on Sarjapur Road, the first three months—till we got the microbrewery licence—were below break-even. Then, the licence came in and we started brewing, and, in a couple of months, we had tripled revenue. That’s when we knew that we were on to something,” says Narayan, who has been an investor in Brewsky in JP Nagar and the Byg Brewski Brewing company. Narayan and chief operating officer Mohan Alapatt found the perfect place for Geist’s factory on the outskirts of the city at Nimbekaipura (“village of lemons” in Kannada)—like many other areas of fast-mutating Bengaluru, a strange jumble of multi-storeyed office buildings and residential complexes, lakes and farmlands. It was an abandoned plywood factory with a grand old banyan tree in the middle of the property that immediately took hold of their imagination. Today, Geist supplies beer to around 70 Bengaluru pubs and restaurants that want to serve fresh craft beer to customers without the hassles of setting up their own microbreweries. With the 10,000 sq. ft law, it’s not even possible for many of them to do so. Meanwhile, Geist is also setting up a beer garden on its premises, and once a month, Kubher conducts a “brew tour” of the factory, familiarizing people with the brewing process. There is growing interest in learning more about this process, in keeping with the artisanal food and beverage movement across the world. While the essential beer-making process is the same for both industrial and craft beers, the latter is produced in much smaller batches, ensuring quality control and the ability to tweak the process to create exciting variants, like adding seasonal ingredients (most of the breweries do seasonal beers, such as Toit’s famous jackfruit beer or Arbor’s Beteljuice). The other essential difference is temperature and sunlight control. Bottled beer is often transported and stored at suboptimal temperatures—at times, retail outlets charge a “cooling fee” from manufacturers to store their beers correctly. Keeping the beer cold and dark (the reason most bottles are dark in colour) prevents oxidation and a process called “skunking”, where light interacts with the hops in beer to produce a distinctly “off” smell. Some of the Bengaluru breweries also stand out for their sustainable practices. At Geist, the RO plant produces a significant amount of run-off water, which is used for cleaning and watering plants. Rainwater is harvested and raw materials are recycled and reutilized as much as possible. When yeast produced in the brewery can no longer be reused for beer production, it is denatured and neutralized and given to nearby poultry farmers to mix with their poultry feed as a supplement—this helps in the hardening of egg shells. All the spent grain (barley and wheat malt) is sent to a local pig and dairy farm to be used as animal feed, while even the wooden containers in which they get their imported hops from Germany are broken down to make furniture for the factory. In any city that has discovered a passion for craft beer, there’s a simultaneous rise in interest in home-brewing. Since beer does not require distillation like spirits, the process is seen as relatively simple, and the rise of brewpubs assures an ecosystem where equipment and raw materials are easier to come by. Bangalore Brew Crew, a group of beer enthusiasts and hobbyists who found each other through their passion for home-brewing, runs a Facebook page for home-brewers that has over 500 members. While not all of them are brewing actively at home, all accounts indicate there are 150-200 active home-brewers in Bengaluru. Karthik Singh and Manish M.K. are two well-known members of the group who have made the jump from brewing for pleasure to taking it up professionally. While Singh has worked with Brewsky, JP Nagar, and is currently a brewmaster at Yellow Submarine, Manish is part of the brewing team at Windmills. Most home-brewers however, prefer to remain anonymous owing to legal grey areas. India’s notoriously complicated and often contradictory alcohol laws have created an atmosphere of ambiguity where, frankly, no one is sure whether making beer for personal consumption is legal or not, and backyard brewers would rather err on the side of caution. Ankur Agarwal, an India Institute of Technology, Kanpur graduate who made his first batch of beer at home in 1999 and is passionate about fermentation, runs Arishtam, a Bengaluru-based start-up that sells home-brewing equipment, malts, hops and yeast and conducts brewing workshops once a month. According to him and his partner, a lawyer, home-brewing for personal consumption is not illegal, and he says he has filed RTIs with the state excise department to figure out the intricacies of the law. “I am yet to encounter any law that explicitly prohibits individuals from home-brewing for personal consumption in limited batch size,” says Agarwal. There are three things that amateur brewers should keep in mind, he says: You cannot distil spirits/alcohol without holding a licence; you cannot engage in any kind of sale of your home brew liquor, including hosting paid events where home-brew is served or bartering alcohol for goods and services; and you cannot cross state boundaries with alcohol. Karnataka excise department officials, however, say brewing any alcohol without a licence is illegal, and individuals doing so can be booked under laws pertaining to the illicit manufacture, sale and possession of alcohol. “We are operating under a ‘don’t ask, don’t tell’ policy. Most of us know that the excise department can make trouble for us, even though the legalities are complicated and might be overturned in a court of law as there are no laws explicitly banning brewing of beer for personal use—only distillation is explicitly banned. But who wants to get into a legal mess? The excise guys will find something or the other to book a case against you,” says home-brewer NS, who doesn’t want to be identified. “Someday a case will go to court, and finally there might be some clarity, but till then we would prefer to fly under the radar and get our brew on,” he adds. Some of the home-brewers I spoke to for this story even said “please don’t mention the legal aspect at all or it will alert ‘them’”. In fact, these kinds of “don’t ask, don’t tell” policies are endemic to the F&B business in Bengaluru/Karnataka. Take, for instance, the official and unofficial costs of starting a microbrewery. While the “on-paper” cost of licences for setting up a microbrewery/brewpub is around ₹8.5 lakh ( ₹6 lakh for a CL-9 bar and restaurant licence, ₹2.5 lakh for a microbrewery licence), the actual cost can go up to ₹3.5 crore. Earlier this year, The Economic Times published a comprehensive report on how corruption is affecting the F&B industry here, describing Bengaluru as “the most challenging city in India for the restaurant industry”. You need almost 40 approvals, no-objection certificates and licences to open a restaurant in the city—each one of which comes at a price steeper than what it costs on paper, say industry insiders. Plus, “peaceful running” costs have to be paid regularly. “Every few months, excise department cops find a reason to dig up something in the rulebook about the volume of music or smoking on the premises or whether you can serve alcohol on the rooftop or something like that. There’s panic among all pub and bar owners, hefty sums of money exchange hands, and then they are told to lie low for a while. After a month or so, the cycle repeats itself,” a pub owner who has been in Bengaluru for over 10 years told me on condition of anonymity. Another said a group of restaurant and bar owners from Indiranagar, a hot spot, were planning to pool in resources and create a “monthly kitty” to ensure “peaceful operations”. 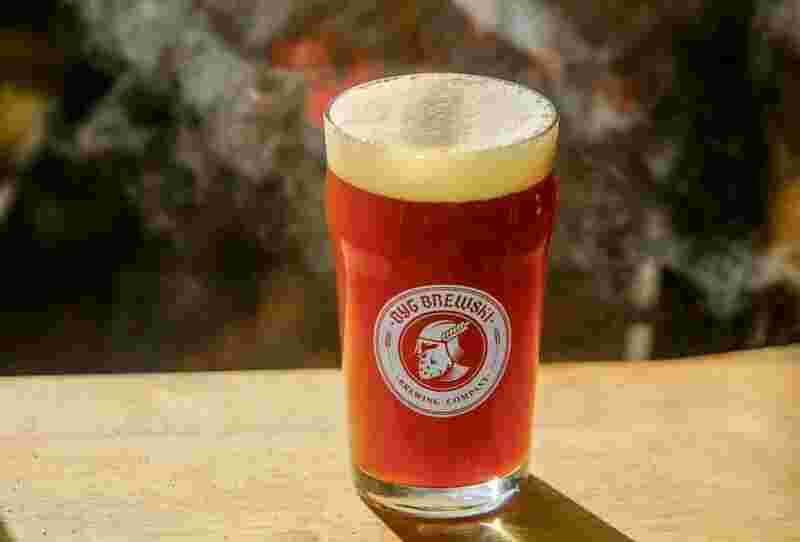 As for the sudden microbrewery boom, Venkataraju believes that at least some of the growth can be put down to what he calls “irrational spending”. “It is a strange feature of the hospitality business that unlike, say, manufacturing or IT, perception of success plays a huge role in the amount of money people are willing to spend on setting up new businesses. It’s quite arbitrary and not really backed by hard numbers—perhaps they think it’s cool, or they are excited by the ‘buzz’ factor,” says Venkataraju. At the same time, Bengaluru, like in any thriving urban micro-economy, has seen the inflow of real-estate money, with folks who have made significant piles looking to invest in something trendier or willing to bank-roll a younger generation. Did the brewpub kill fine-dine? While some of the brewpubs do make an attempt to create a diverse and exciting food menu, featuring local and regional favourites like pandi curry, chicken ghee roast, and Kerala beef fry, along with dim sums, baos and even sushi, most restrict themselves to bar snacks and go with the ever-popular trio of fries-nachos-pizza. With the microbrewery boom, the number of new risk-taking, food and specific cuisine-led places has definitely fallen in Bengaluru. This is also a factor of the younger demographic of the city’s diners, who are less likely to spend serious time and money on gourmet meals. Though he doesn’t agree that “the microbrewery craze” has specifically hit the fine-dining scene in the city, Manu Chandra, chef-partner at the Olive Group, believes it has “marked a tectonic change in the going-out culture overall in Bangalore”. “The requirement of a minimum of 10,000 sq. ft means that these places are always large, and such large places cannot be microfocused on singular cuisine offerings alone. Some might try to make them cuisine-focused, but we will have to see how that pans out,” says Chandra cautiously, though he agrees brewpubs have “changed both the taste and the perception of going out for a generation of customers”. Riyaaz Amlani, CEO of Mumbai-based Impresario Entertainment & Hospitality Pvt. Ltd, believes the microbrewery boom “is a craze at the moment, but, like all crazes, it will reach its peak”. “Yes, risk-taking is not very prominent right now, but people will reach a certain amount of fatigue and once their tastes have matured, will seek out exciting food experiences,” he says. “We are at a crossroads now. The government has increased the duties on craft beer, there are so many compliance issues, and getting the right talent is becoming more difficult. But given a little bit of push from the government, we will see an even bigger boom in Bengaluru,” says Arbor’s Sikka, who believes that in a couple of years, the number of brewpubs here will touch 100. San Diego, a city with a population of around 1.4 million, has over 200 craft breweries, tasting rooms and brewpubs—Bengaluru’s population is over 12 million, leaving a lot of room for growth. For now, it’s summer, and the taps are churning out a lot of liquid gold. Keep calm and get your brew on.